The new chain of outlets will be located across the country with the first two outlets opening in Muscat, the company said. UAE-based restaurant chain Just Falafel has announced that it will open 10 new outlets in Oman as part of its ongoing expansion strategy. The new chain of outlets will be located across the country with the first two outlets opening doors in Muscat, the company said in a statement. The company currently has an outlet in Grand Muscat Mall in Oman. Just Falafel outlets in the capital of Oman will open by the end of this year while the remaining ones will be operational over the next five years, the statement said. In order to carry out its expansion in the Sultanate, the restaurant has partnered with Jawad Sultan Group for franchising the brand. Just Falafel has been on a strong international expansion drive since 2013 as it branched out to the UK, US and North American markets. The fast-food chain, which recently entered the Australian market, said that it will open a second store in the country’s largest railway station. Located at No.8, Central Station in Sydney, the company will open a two-storey outlet that will target commuters, the statement said. The restaurant chain is aiming for strong expansion plans across America as well. Just Falafel also said that it has opened its first Canadian store in Bay Street, Toronto. It is also eying major expansion in the US as it signed a deal to roll out 10 more outlets in Texas recently. The company, which has 25 operating outlets across the UAE, also revealed plans to enter the Asian market. 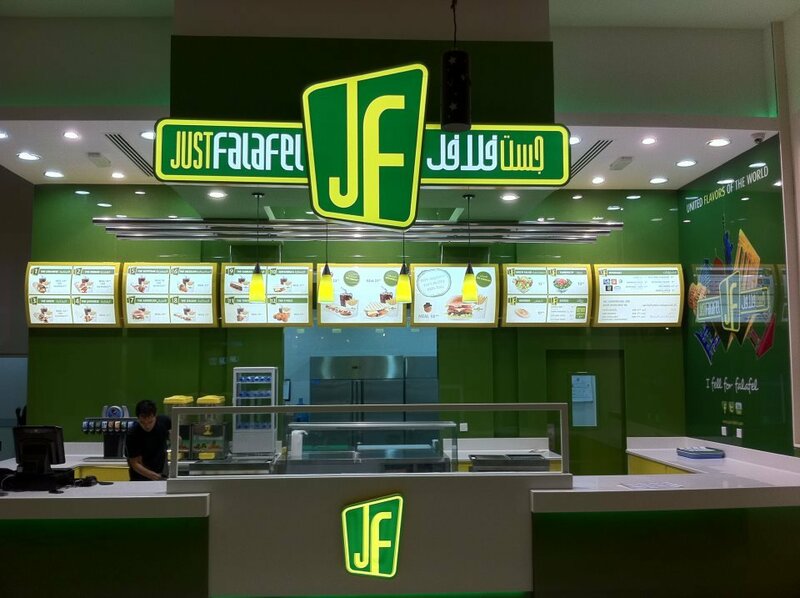 Just Falafel began with a single store in Abu Dhabi in 2007, and currently has 46 restaurants with signed agreements to develop more than 720 outlets in 18 countries. The brand offers ethnic varieties of the Middle Eastern snack falafel.